How big is the screen on Vscan Extend? What operating system is Vscan Extend on? The Vscan Extend is based on Android and Linux operating systems, but have been customized for Ultrasound use. Do I need to provide my own device to plug the probe into? Vscan Extend includes the viewing device and the probe, so there’s no need to provide your own viewing device. Does the system have wireless and DICOM connectivity? Units purchased through the US e-commerce platform all include Wi-Fi connectivity and DICOM connectivity as standard features. Wireless capability includes wireless image transfer to shared network folders, enterprise grade wireless encryption standards includes EAP and WPA2 (PSK), mobile device management and access to the GE Marketplace to download and install Vscan Extend apps. DICOM includes wireless reading of DICOM Modality Worklist and wireless image export in DICOM format. You can scan continuously with Vscan Extend for about 1 hour. In standby mode, the system stays on for about 3 hours and shuts down when the battery reaches 12%. The battery takes about 75 minutes to fully charge. Vscan Extend units purchased through our e-commerce platform also include one extra battery, and one external battery charger, so you can swap the battery to continue scanning. How long does the Vscan Extend take to start up? The approximate time taken for the device from switching on until the device is ready for normal use is 40-45 seconds. What can I scan with Vscan Extend? With the phased array transducer on the sector probe, the specific clinical applications and exam types include: Cardiac; Abdominal; Renal; OB/GYN; Urology; Fetal, Evaluation of Presence of Fluid; Imaging Guidance for Needle/Catheter Placement (e.g. paracentesis, pericardiocentesis, thoracentesis, amniocentesis); Peripheral Vascular Imaging (e.g. arteries and veins); Thoracic/Lung (e.g. pleural motion/sliding, line artifacts); Adult Cephalic; and Pediatrics. With the addition of the linear array transducer on the single dual headed probe solution, the specific clinical applications and exam types are expanded to include: Peripheral vascular imaging (e.g. lower extremity, carotid); Procedure Guidance for Arterial or Venous Vessels (e.g. central lines, upper extremity); Small Organs (e.g. thyroid); Musculoskeletal (Long Bone; Hip, shoulder, elbow and Knee Joints); Evaluation of Presence of Fluid; Thoracic/Lung (e.g. pleural motion/sliding, line artifacts); and Pediatrics. How durable is Vscan Extend? Vscan Extend is durable, robust, and built for diverse clinical environments. Vscan Extend can tolerate a 1 meter drop with only minor scratches and bumps expected. The probe cable has a nylon string in its cord to protect the wires. Its cover is made with light magnesium alloy instead of plastic to help protect the electronics. Built in drop zones further protect the electronics. Vscan Extend's bezel edge helps protect against fluid and dust particles. Can Vscan Extend connect with a hospital network? The system is capable of transferring images wirelessly to a DICOM server, Windows Share, or via Cloud; data can also be exported to a standard PC using a wired USB export. What Wi-Fi standards are supported?? IEEE 802.11b/g/n standards are supported via 2.4GHz band. Is Vscan Extend available outside the US? Yes, Vscan Extend is available in countries outside the US. For availability in your country, please contact your local sales representative or visit the Contact Us section on this site and select your country to send a message to your local sales team. Can I purchase other accessories for Vscan Extend? Vscan Extend units purchased through the e-commerce portal come as a complete unit (including battery, USB cable, AC adapter, soft case, and 60g bottle of gel), additional battery, external battery charger, and an hour of remote applications support. Additional accessories are available to purchase through your local sales representative, including additional soft case and AC adapter and robust, hard cover carrying cases. What is the warranty on Vscan Extend? Vscan Extend comes with a 3 year standard warranty. Information on additional service options is available on request. Please contact us by e-mail Insidesales.EcommerceUSACCS@ge.com or through Online Chat. How do I locate or purchase a product that is not available on the website? If you have questions regarding other products not available on our eCommerce site, please contact us by e-mail Insidesales.EcommerceUSACCS@ge.com or through Online Chat. I’m interested in scheduling a demo, but none of the times on the site work for me – is there another time slot available? Yes, we can schedule a custom time slot for you. Please contact us by email Insidesales.EcommerceUSACCS@ge.com with your preferred date and time and we will reach out and do our best to accommodate. Where can I find additional information about a specific product? How do I edit/change my registration? How long will take registration completed? NPI (national provide identifier) is a unique 10-digit identification number issued to health care providers in the United States. What is Tax Exempt Certificate? Tax exemption certificate is a way to proof that your business or organization are a tax exempt entity and therefore, your purchase will be tax free. Why do I need to register on the site? The registration process consists of two phases. The first phase is a simplified registration process that provides access to our products, prices, configurations… The second phase is a more detailed registration process – which is required for the purchase of any regulated medical equipment within the United States. After placing an order, when can I expect delivery? Assuming all items are in stock, delivery should occur within 10 days after the order is placed. Can I request delivery be made to another country? Products on the website may be subject to government regulation and may not be available in all countries. Orders placed on this USA site can only be shipped within the USA and its territories. Is delivery available across the entire US? What if I need to change the shipment address after placing the order? Please send an email to Insidesales.EcommerceUSACCS@ge.com in your email include the shipment address you would like changed and your order number. What is the tracking number/carrier of my order? Please send an email to Insidesales.EcommerceUSACCS@ge.com in your email please request tracking number/carrier details and include your order number. Can I change an existing order before shipment? Please send an email to Insidesales.EcommerceUSACCS@ge.com in your email please include the details you would like changed and include your order number. Can I return the Vscan after delivery? Unfortunately, no - Vscan cannot be returned after delivery for refund or credit. What should I do if Vscan is delivered but is defective or missing parts? GEHC will replace any defective parts or missing items free of charge. Please send an email to Insidesales.EcommerceUSACCS@ge.com with details of the issue and the system serial number. Can an order be cancelled before shipment? The order can be cancelled pre-shipment. GE reserves the right to charge a restocking fee of up to 10% of the product price. To cancel your order, please email Insidesales.EcommerceUSACCS@ge.com with order details and request to cancel, and include your order number. I need help with making a payment on an order – who do I contact? Please send an email to Insidesales.EcommerceUSACCS@ge.com with your payment or order challenges. Is it possible to add a new product to the order already made? I received a message that says “Request pending”, what do I do? I received a message that says “Unapproved purchase”, what do I do? We look forward to trying to help solve the problem. 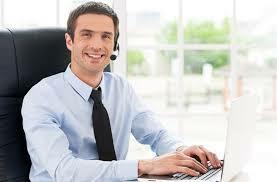 Please contact us by email Insidesales.EcommerceUSACCS@ge.com for more help or through Online Chat. For additional questions regarding the following topics, please email E-Commerce Sales Support USA; include order number and/or serial number where applicable. I need help making with payment on an order. What are the purchase terms? For additional questions regarding payment topics. Including those listed below, please email Insidesales.EcommerceUSACCS@ge.com; include order number where applicable.